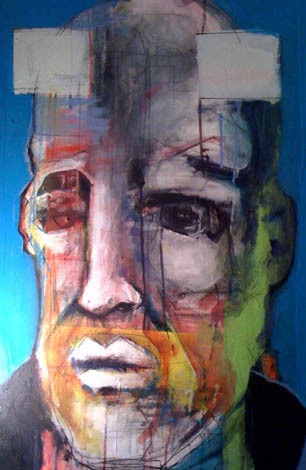 Innovative and dynamic artist Patrick Chapman constructs larger than life portrait imagery inside his tiny studio in Los Angeles. 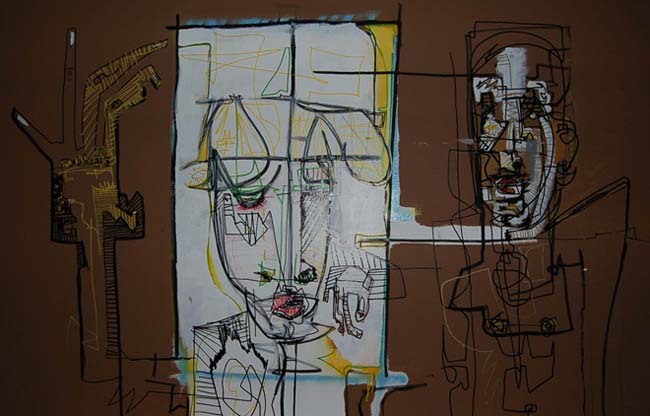 Stacked against walls, strewn across tables and chairs are some of the most powerful canvases on the art scene today. 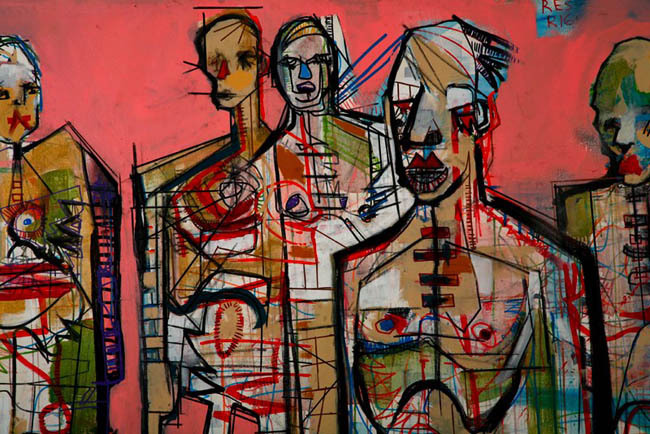 His paintings – while large in size – are intimate in detail. 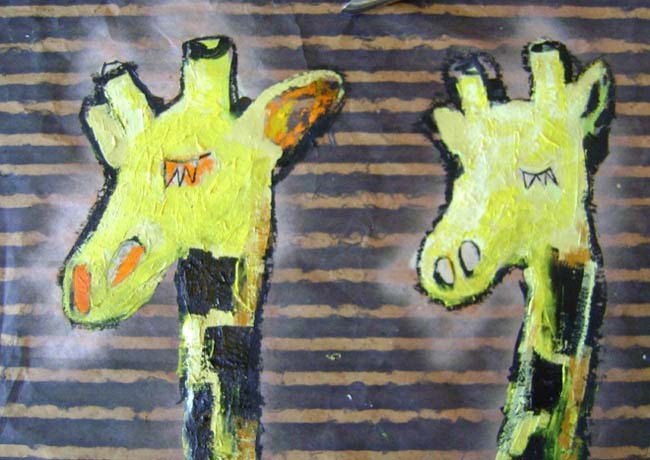 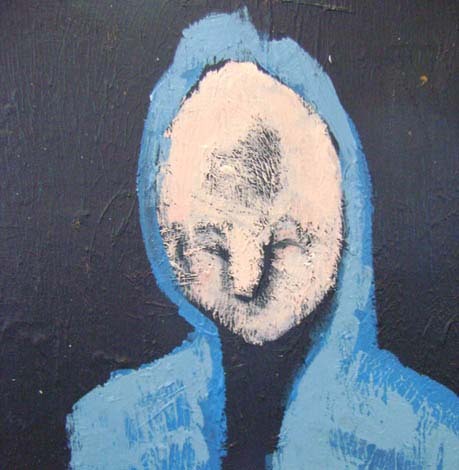 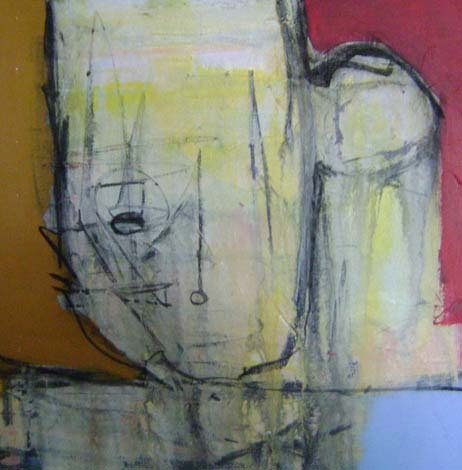 The stories told deep beneath layers of paint seem far wiser than his thirty years. 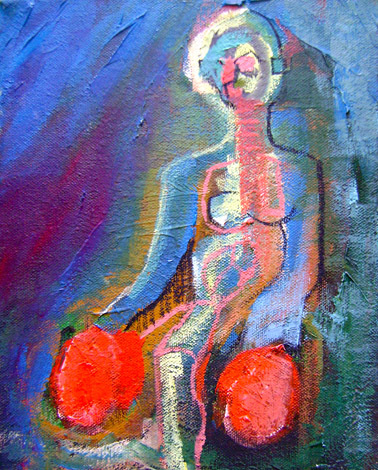 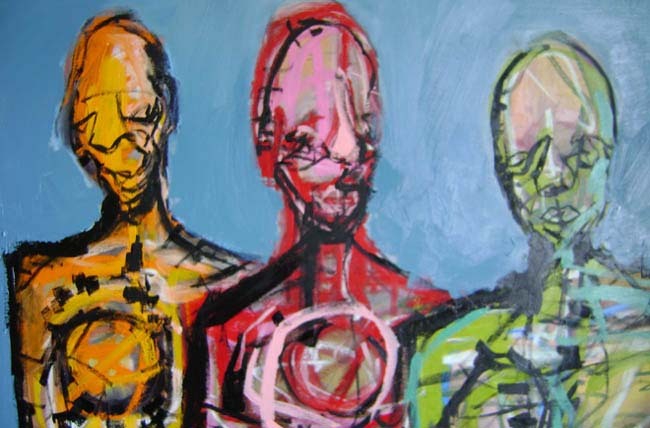 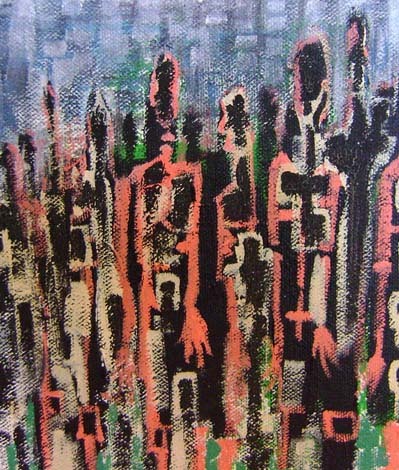 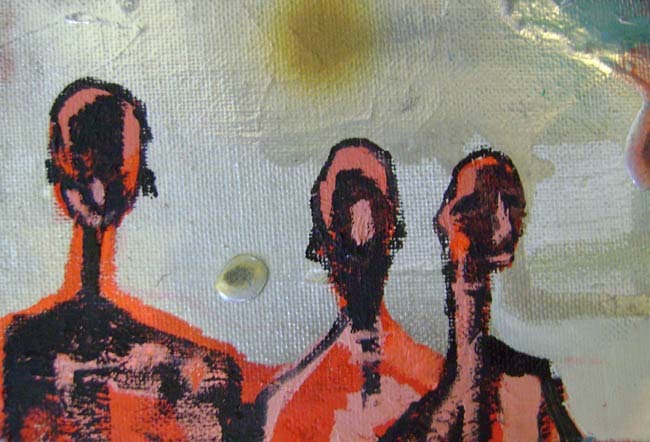 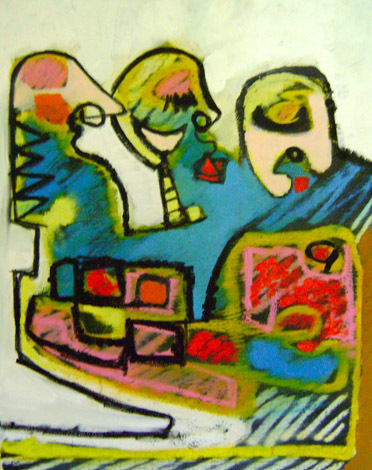 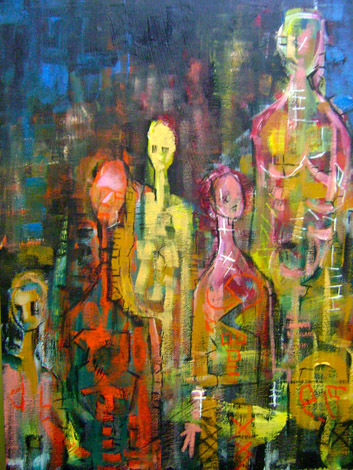 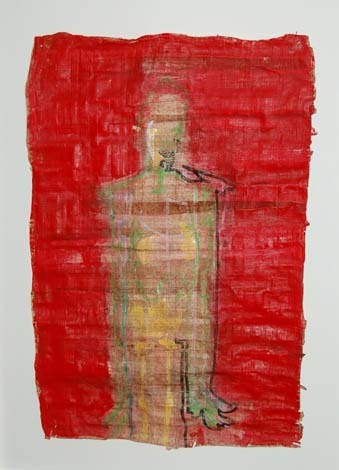 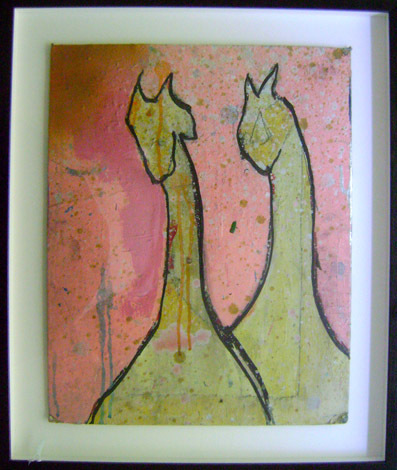 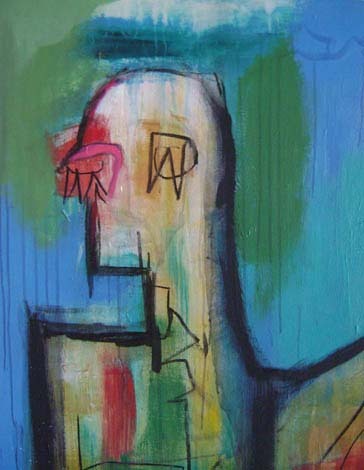 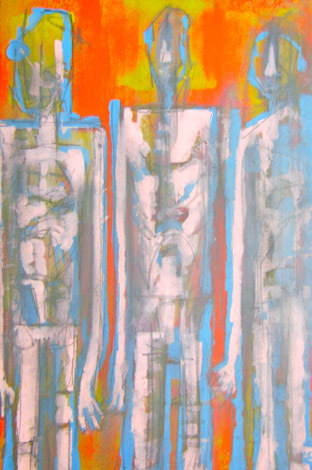 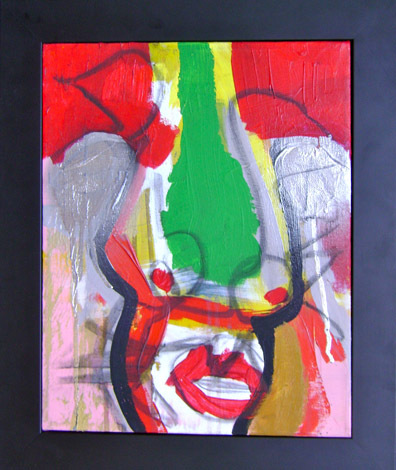 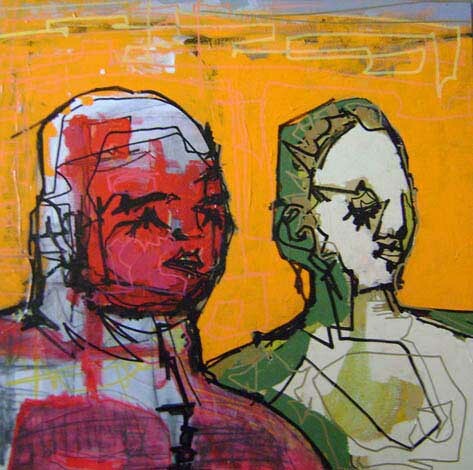 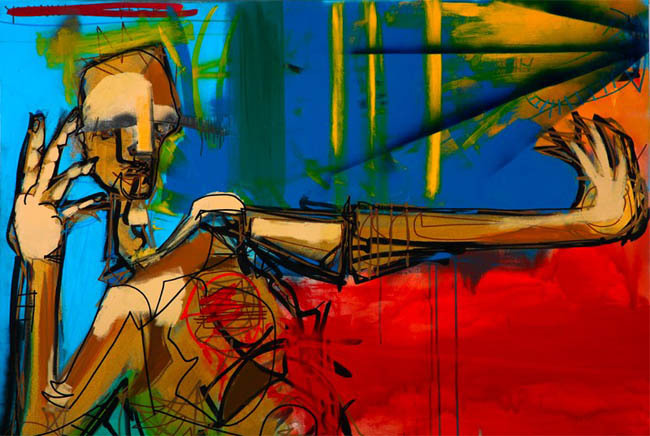 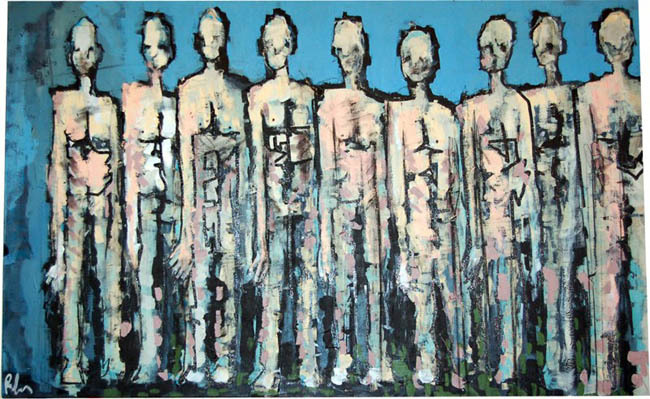 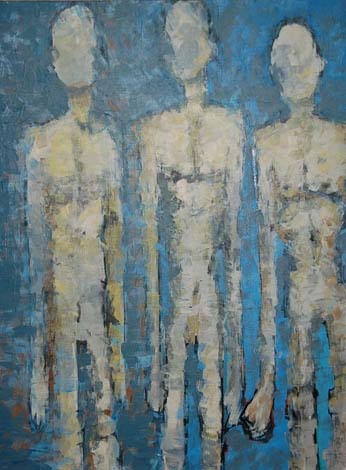 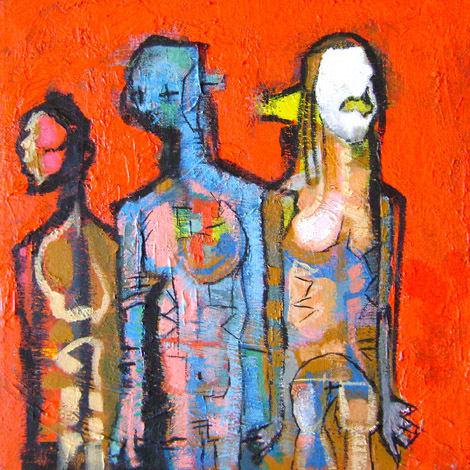 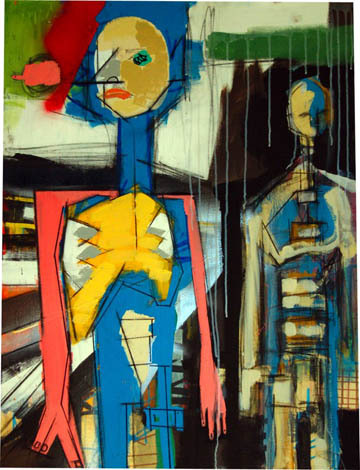 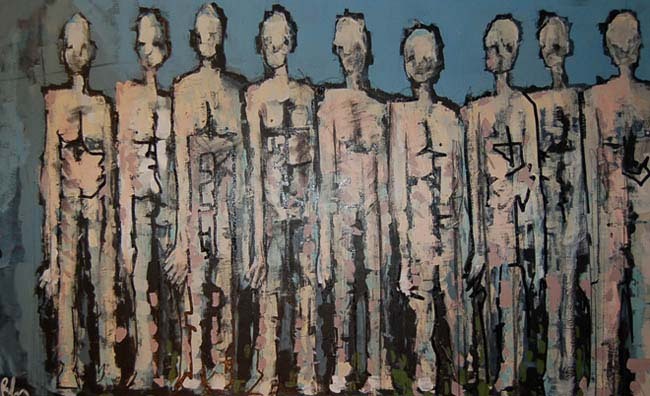 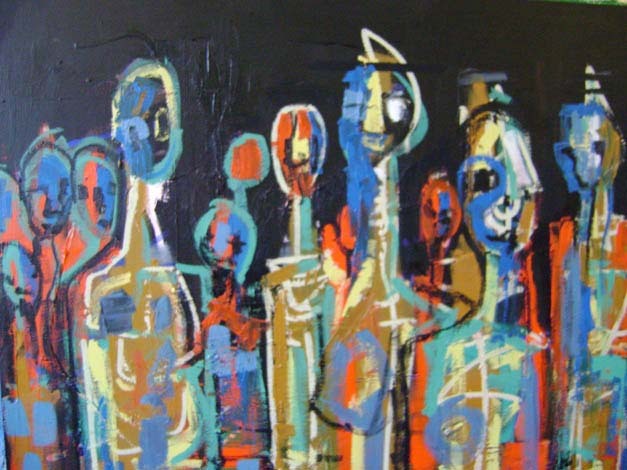 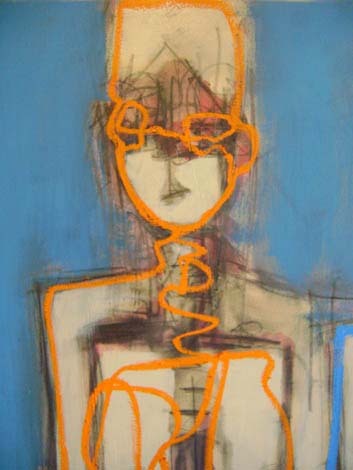 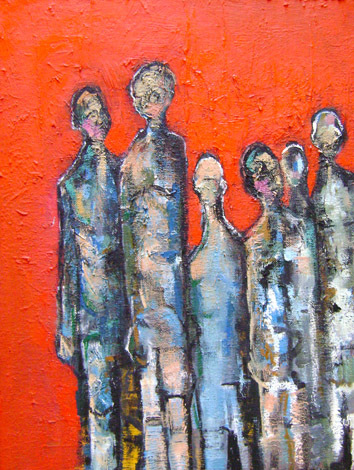 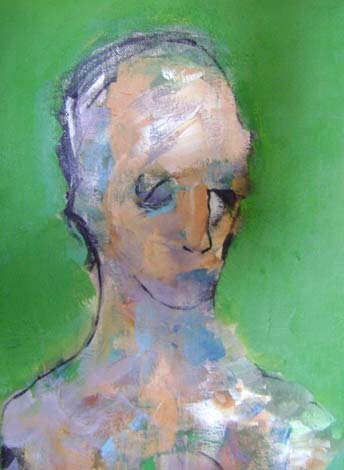 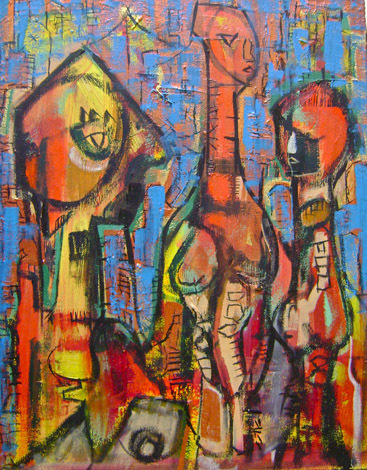 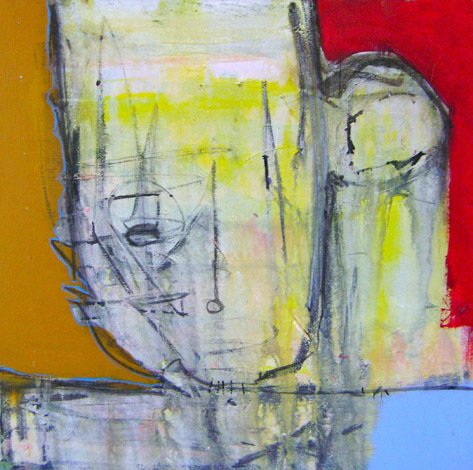 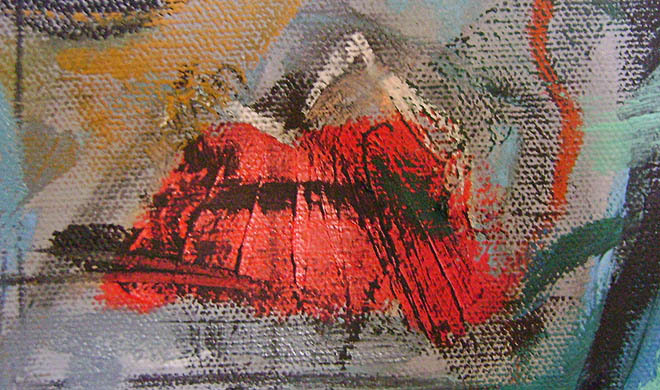 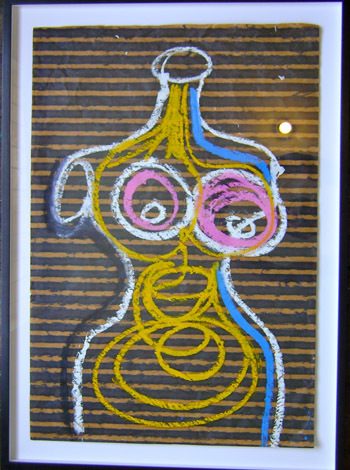 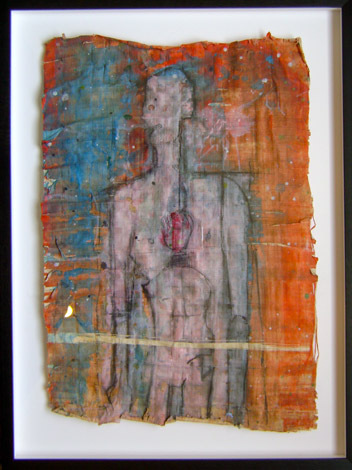 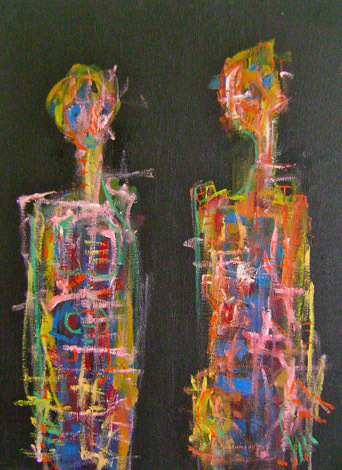 His abstract figures are so multi faceted they never appear to the naked eye quite the same way each time you view them. 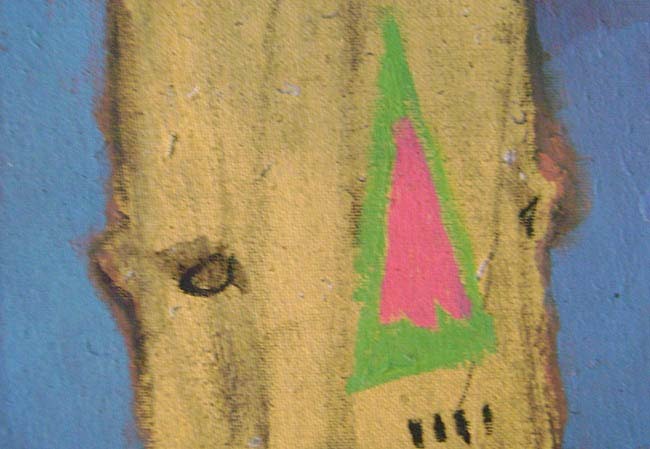 A word, a color, a shape, an image never noticed before – suddenly appears. 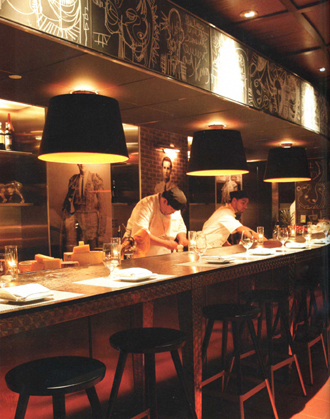 In addition to his painting, Patrick recently worked with Philippe Starck to create chalkboards that adorn the restaurant of the new SLS hotel (pictured at right). 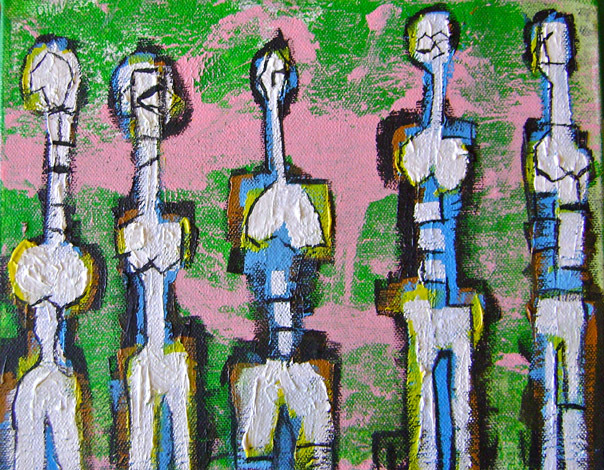 This extraordinary opportunity allowed Patrick to get out of the studio and showcase his diversity. 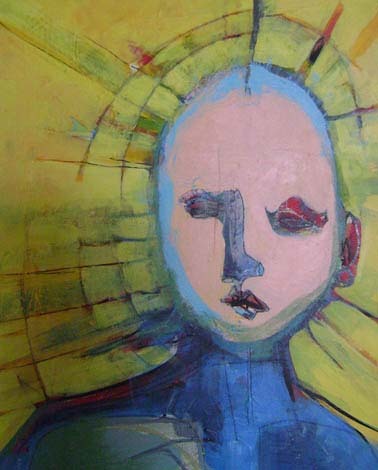 Born in Avalon New Jersey to a family including a twin brother and two older brothers, Patrick actually started painting when he was 13 when he entered a contest. 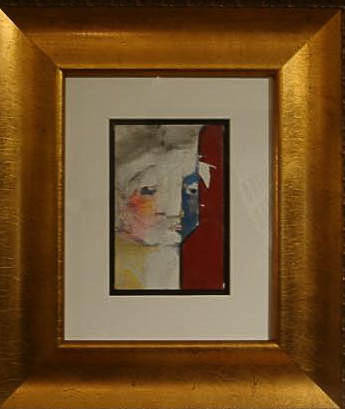 He took second place. 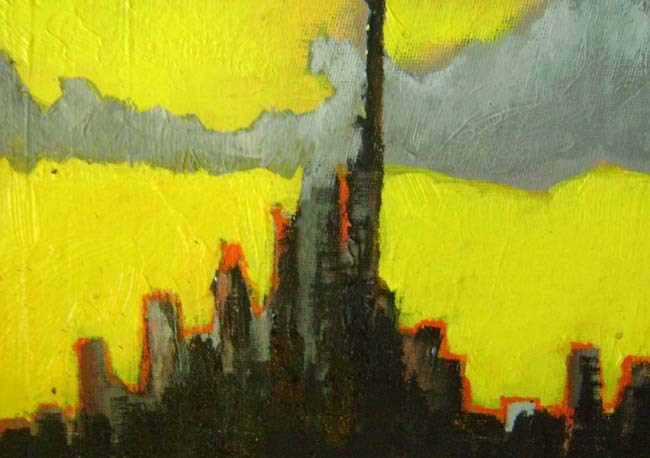 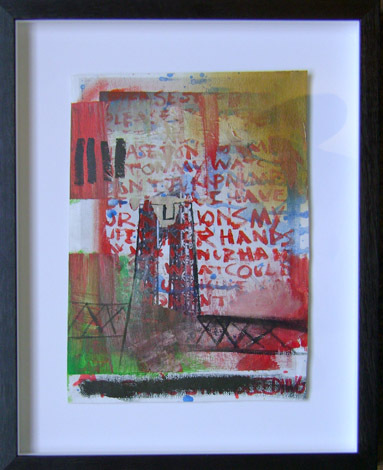 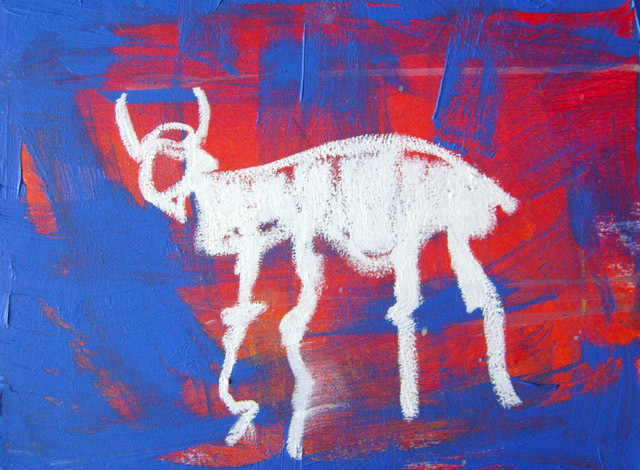 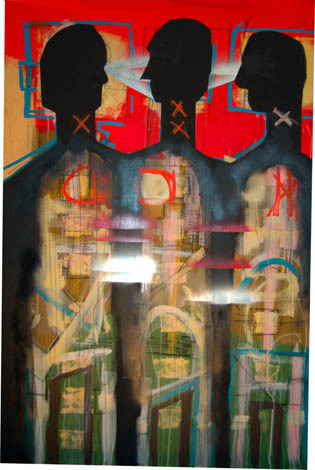 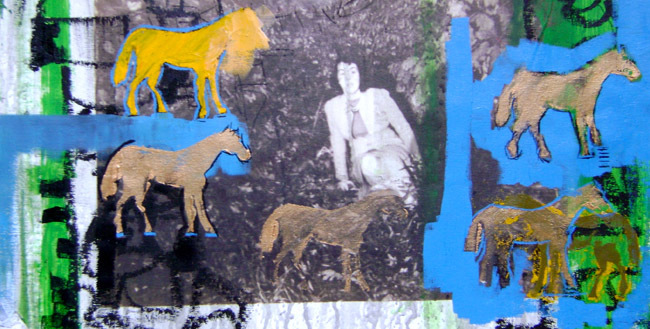 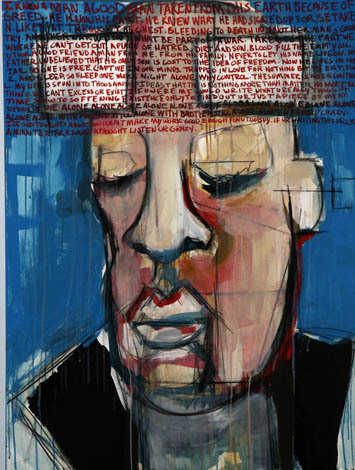 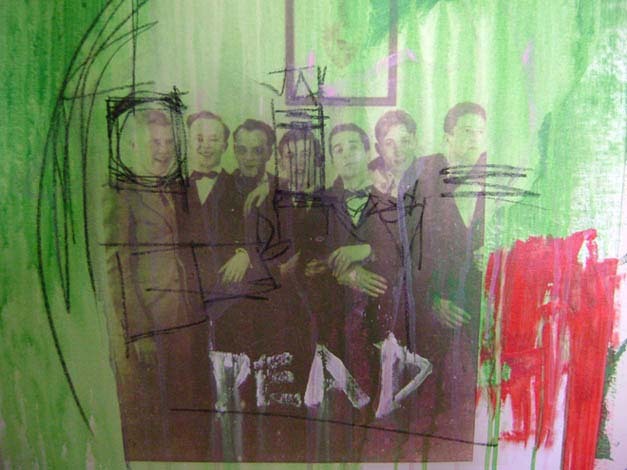 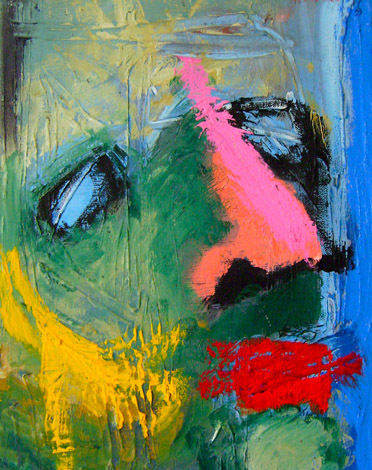 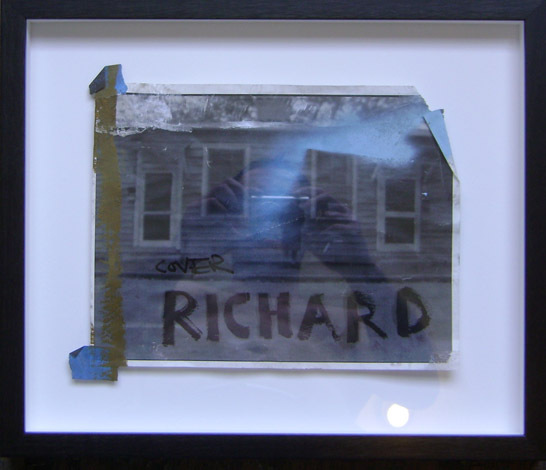 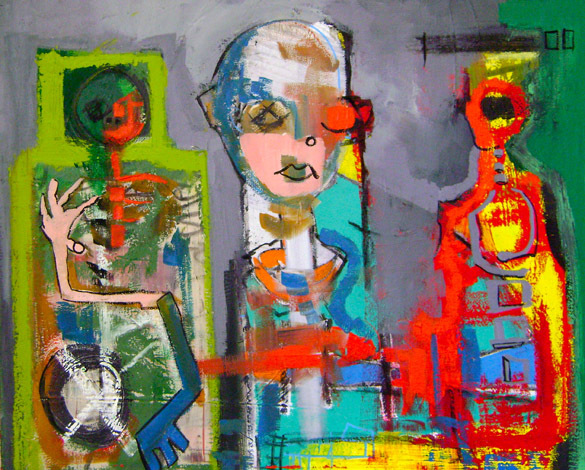 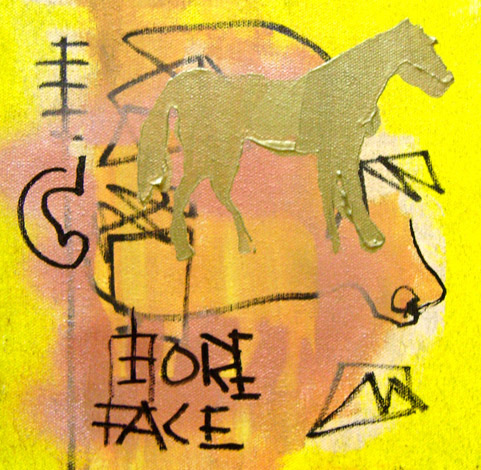 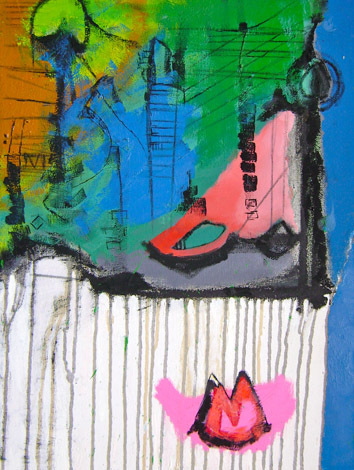 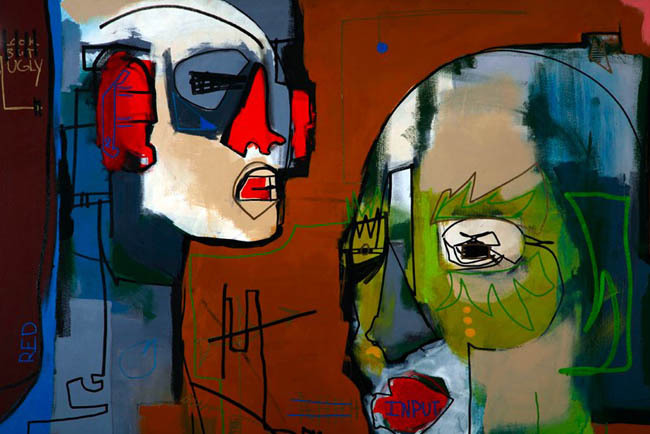 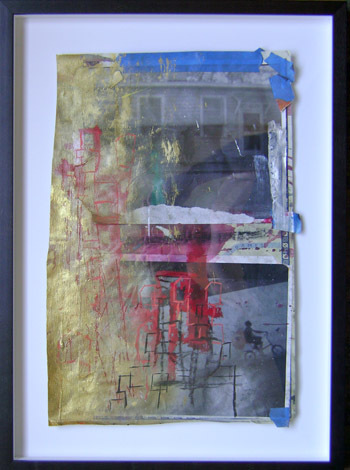 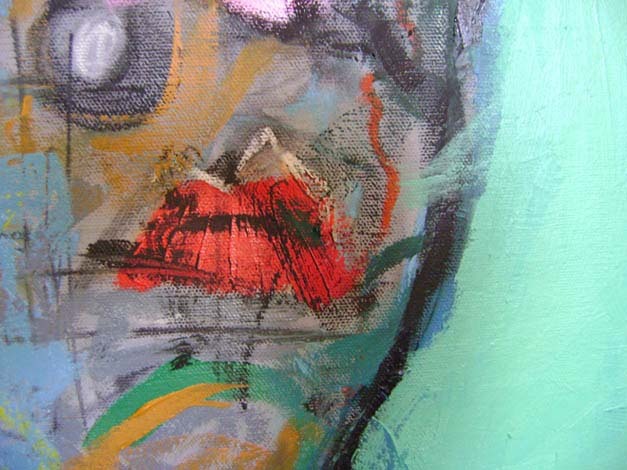 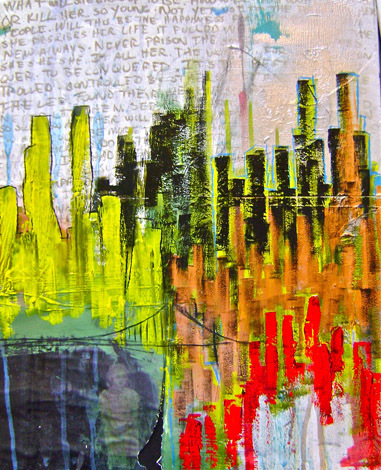 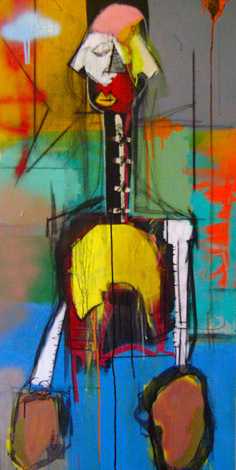 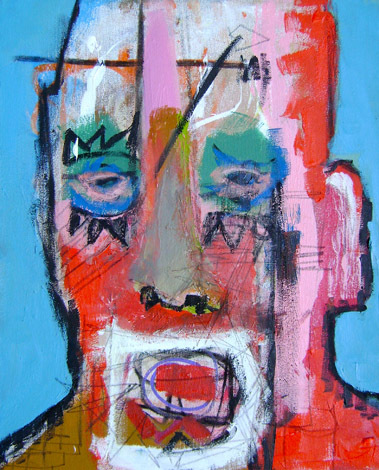 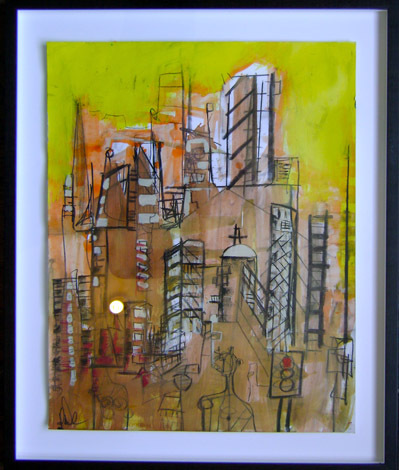 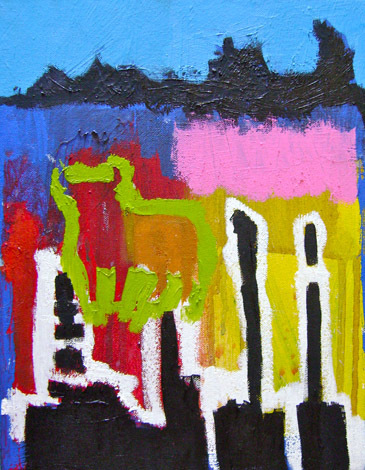 He is inspired by painters Francis Bacon, Jean-Michel Basquiat and old world gothic architecture.